ICYDK, BTS just dropped their new album called Map of the Soul: Persona on April 12. The group’s sixth EP features seven songs, and the lead single, "Boy With Luv" is a collaboration with Halsey. The official video was also released on April 12. Apart from BTS’ collaboration with Halsey, there were also rumors that the seven-piece group was working on a song with British singer, Ed Sheeran. Big Hit Entertainment, which manages BTS, revealed on Twitter that Ed did work on a song with the K-pop group. Ed co-wrote the track, "Make It Right." 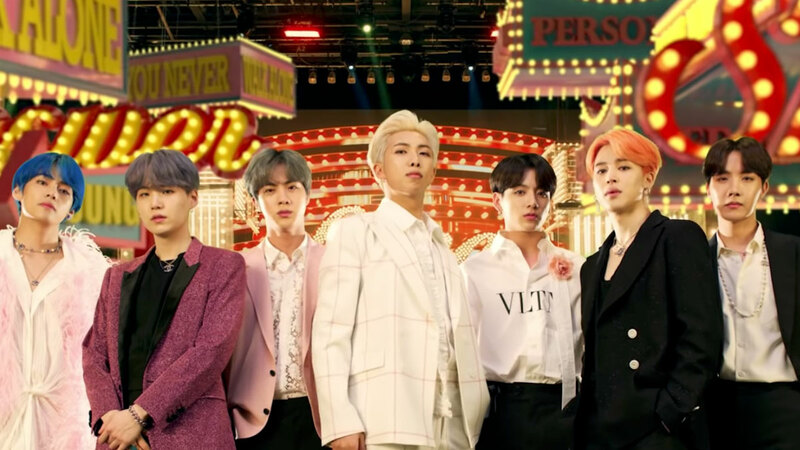 BTS is currently in New York where they are set to appear in an episode of Saturday Night Live on April 13 which will be guest-hosted by Emma Stone.